The Chinese Crested is a lively, alert, energetic breed that makes excellent companions, and their size fits just about any environment. They make for the lively company but also like relaxing around their owners. They’re almost always up for playing, making them fun, interactive pets. This breed loves to be around people, whether it’s a vigorous game of fetch or just watching TV. They like people a lot, and really don’t like being left alone. Chinese Crested are prone to separation anxiety, and if left alone for too long, they can get into some trouble. These dogs have been found to chew, bark, dig, and climb when left alone, so they’re not great for owners who aren’t home all day. Owners that aren’t home too often can take their dogs to daycare or hire dog sitters or walkers. The Crested is a quiet breed, barking only when alerted to something new or if left alone. Otherwise, they make for fairly quiet company, and can calmly relax with their owners. All dogs are different, and dogs that have more exposure to people, places or things when they are younger tend to be less vocal. 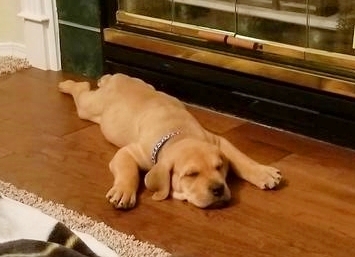 Socialization is extremely important and should begin the day the puppy comes home. This is one breed that could be right for people of all ages. Their gentle personalities make them fitting for families with small children to seniors. The dog’s small size makes them unlikely to injure or intimidate anyone. All dogs should be monitored when around young children, however, so that neither the dog nor child is hurt. One highlight of this breed is its size. The Crested is an ideal dog for apartment life, giving its social and quiet personality. They are especially intolerant of the cold, and can die from low temperatures. They like to snuggle up to owners to share their warmth. The breed is best suited to warm temperatures, in contrast to the fatal threat presented by the cold. Hairless, which is just like it sounds like, hairless. Powderpuff Crested tend to be more tolerant of the cold, but should still not be exposed to low temperatures for prolonged times. The Hairless is known to handle the heat better, and the cold even worse. Despite their small coats, both variants shed, and can be an issue for those with allergies. All dogs can get distracted to some extent but this seems to be a problem with this breed. If a Chinese Crested sees something that they find more interesting than what their owner has to say, then it may be difficult to get the dog’s attention. These dogs are known to chase after things that they’re curious about, whether it be a squirrel or a car, and it’s recommended to have an enclosure for them when they’re outside. They can coexist quite well with other pets in the home. Most Crested are playful and happy around other canines, and hardly ever show signs of aggression. This is an ideal dog for sharing the house with other pets, given its size and temperament. 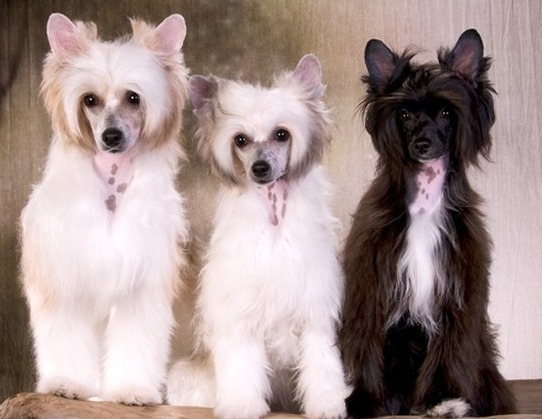 The roots of the Chinese Crested are surprising, not Chinese. Their origins are instead, contested, as people are unsure if they came with Chinese sailors from Africa or Mexico. 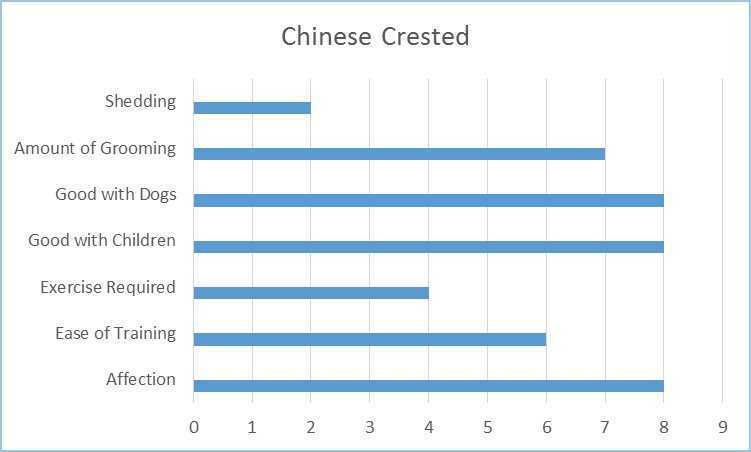 It is likely that these dogs were brought to China and bred with smaller dogs to produce the breed we see today. This breed can be found in many ports in Europe, Asia, and Africa, as Chinese sailors would dock and bring these dogs with them. Their agile, small figures were perfect for hunting rats stowing away on their boats. These dogs gained much popularity during the plague, as rats were a huge reason for the spread of this disease. In the early 1700s, depictions of Crested similar to the ones seen today started to appear. As new culture and foreign influence reached China, the breed spread around to foreign ports. The breed fascinated Europeans, who brought them back to their countries often to display rather than establish the breed. It wouldn’t be until the 1800s that this breed would get some strong European roots to further build upon itself. In the late 1800s, the dog started growing in popularity. The breed was becoming more recognized, and so were the varieties of it. 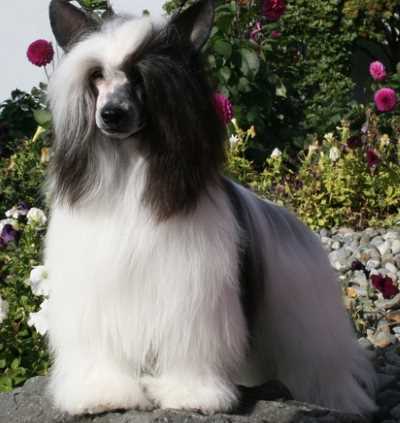 During this time, breeders had focused on two types of Chinese Crested, Deer, and Cobby. In 1881, the breed was recognized by the British Kennel Club. It is believed that the Crested arrived in the US a year before it was recognized by the British Kennel Club. Although, these dogs didn’t breed on their own. Ida Garrett and Debra Woods worked together to establish the breed and receive credit for its survival in the US. Without these two women, it’s unlikely that the breed would be seen in such numbers as it is today. The Chinese Crested saw a population boost in the years following WWII. The economic prosperity felt by the US during this time allowed for the average family to be able to afford pets and other luxuries. The numbers grew so much that Debra Woods started registering Crested. Later she established the Hairless Dog Club of America in the 1960s. The breed continues to rise in popularity to this day. Today, they are considered to be the 63rd most popular dog in the US. Their own breed club was established in 1979, but they wouldn’t be officially registered by the AKC until 1991. Adaptable to most homes: Apartments suburban or rural. 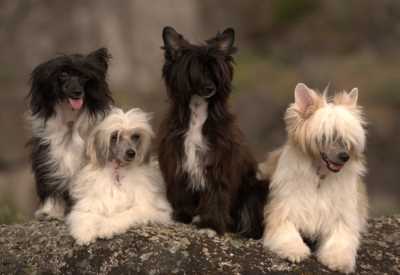 The Chinese Crested is not known to present much difficulty in training. Most owners find house training to be the most difficult. Small dogs have small bladders, and stubborn dogs such as the Crested will go where they please until taught not to. These are sensitive dogs, however, so they need positive reinforcement to condition out bad habits. Often owners will take their dogs to obedience classes to ease the training process. The process of socialization is usually easy for the Crested owner. They are already friendly dogs, and will greet most people and animals warmly. All dogs are different, however, so it’s always important that they get some exposure to things early on. Early socialization will assure that as the dog grows, they will be more confident and less anxious around strangers. The more socialized a dog is, the less vocal about surprises they will be as well. These dogs are known to be quite the escape artists. 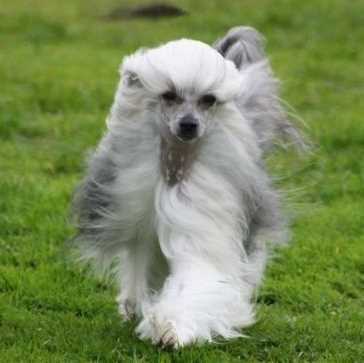 Despite their modest size, a Chinese Crested can jump very high, almost 4 feet. They were used to hunting rats on ships, and will chase after a rodent if they see one. It’s recommended that the owner has a proper enclosure to prevent the dog from chasing a squirrel into traffic. Fences have to be pretty high to keep them contained, although invisible fences work well too. 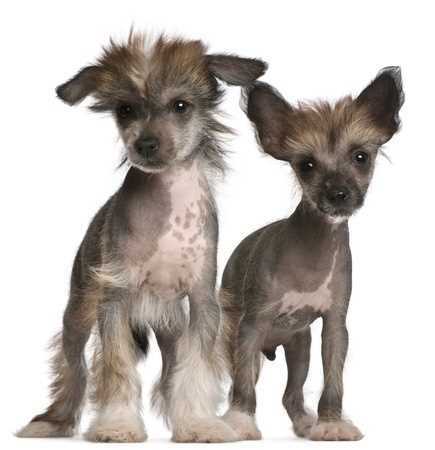 As you can imagine, a Chinese Crested is not the best choice if you need protection. Given the dog’s size, it does not carry much of an intimidation factor. The dog’s small build prevents them from fending off any intruder as well. This breed also doesn’t have the personality to be a guard dog. They’re too social to be aggressive towards strangers, and would most likely greet an intruder as a guest in the home. These dogs are loyal companions, however, so if it came down to it, they would put forward a valiant effort to protect their owner. If anything, this dog is all bark and no bite. These dogs bark when alerted so they might make for good watchdogs, as long as they’re inside the home. They may be able to alert their owner to an intruder’s presence, but won’t be scaring one off with their barks anytime soon. 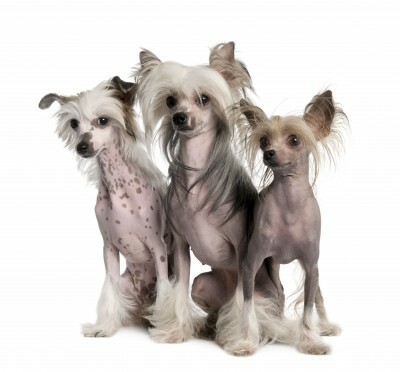 The grooming needs of the Chinese Crested vary depending on the variety. The Hairless Crested requires more bathing than the Powderpuff, and it’s recommended they are given are washed once a week. 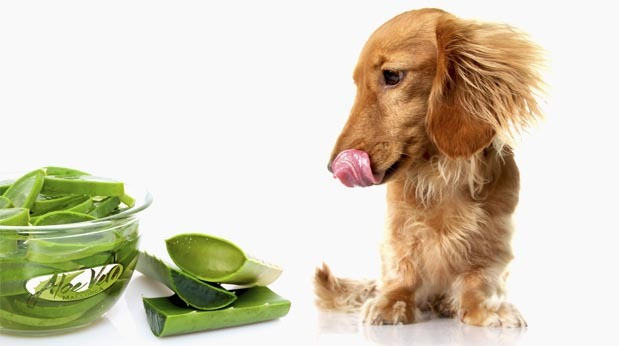 Hairless dogs will also need an oil free moisturizing cream to protect them from dry skin. They will also need a sunscreen in the summer to prevent dryness and sunburn. The hairless variety is also prone to acne and blackheads so this may also need to be addressed. The hair on other parts of their body needs to be brushed to prevent tangles. The Powderpuff Crested require more infrequent bathing, about twice a month. Overwashing a Powderpuff will strip protective oils from their coat and dry them out while some owners bathe their Hairless Crested daily. Brushing isn’t too much of an issue for the Hairless variety, but Powderpuffs require regular brushing to maintain their coat. Regular brushing removes loose dead hair and odorous molecules from their coat. It’s recommended that a Powderpuff has its coat brushed at least twice a week or more. While it’s the Powderpuff that requires the most brushing, all Chinese Cresteds will need their teeth brushed. Regular brushing will freshen up their breath, clean their teeth, and prevent tartar buildup. It’s important to provide a dog with the proper dental care to keep it healthy. It’s recommended that these dogs have their teeth brushed at least 2-3 times a week. It’s important to maintain a Chinese Crested’s ears too. Regular ear cleaning will remove excess wax and bacteria. Dog’s ears are an ideal place for bacteria to spread, so cleaning is required to prevent infection. It’s recommended that a dog has its ears cleans every two weeks. Dogs, like humans, get sick, and all dogs are bound to face some sort of health complication down the road. Some breeds are more prone to certain health issues than others, however, so it’s important to be aware of them when purchasing a dog. It’s also important to purchase a dog from a reputable breeder. A good breeder will know a lot about the breed and be able to pass health checks for their dogs. Dog Breeds Expert always recommends that you do as much research about a breed as you can before searching for the puppy or adult dog of your dreams. We recommend the books below - click on the images for more information.